All monies paid are refundable, minus a $50 fee, for cancellations received at least 30 days prior to arrival. For cancellations received less than 30 days prior to arrival, monies paid are nonrefundable. There is a $25 charge for modification of a confirmed reservation. THERE ARE NO REFUNDS FOR EARLY CHECK OUTS. 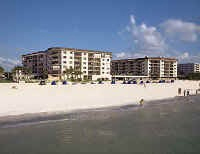 Fully furnished 1,2 and 3-bdrm beachfront and intercostal condos. 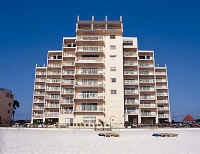 All Units have full kitches, private balconies, pools, and laundry facilites in each building. Some condos are not beach front. Some prices are lower depending on location. A $200 deposit is required withing 7 days of the booking date. Balance in full is due 30 days prior to your arrival. A departure fee is required. Some condos prices will be higher or lower depending on availability.